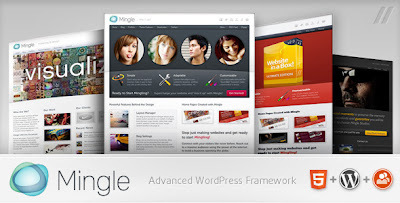 Mingle is an amazing WordPress theme and it’s BuddyPress ready!. Mingle has been designed as an adaptable and highly intuitive WordPress theme. It includes administration features giving you complete control of your website’s layout and design. The unique and easy to manage design ensures your site will stand out and be remembered. Along with that it is a fruitful theme in design with plenty of other features. We can easily create portfolio websites, business websites and even beautiful blogs using mingle WordPress theme.